Jimmy Choo Spring/Summer 2013 Campaign. 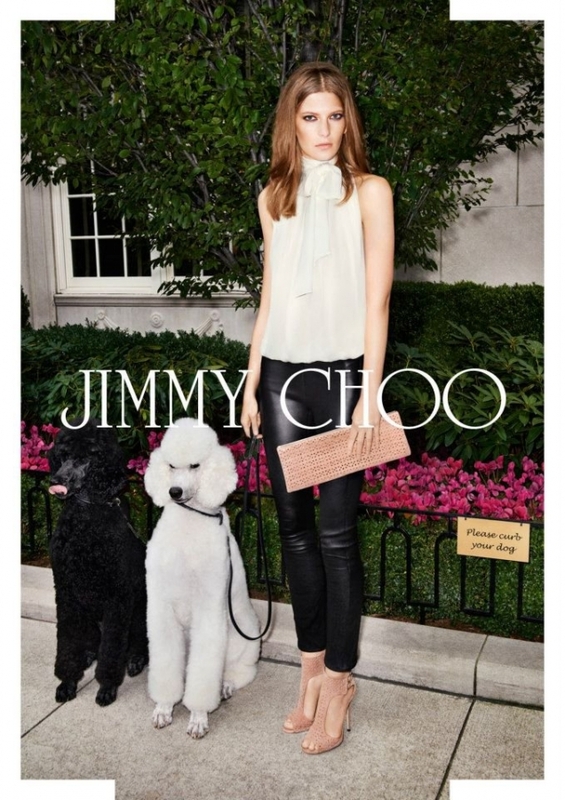 Jimmy Choo tackles a new style perspective in the spring/summer 2013 campaign. Take a peek at the newest ad campaign! The Jimmy Choo label is rounding up its spring 2013 essentials in a fab new campaign featuring models Valerija Kelava and Andres Velencoso Segura. The spring 2013 campaign from the label marks a shift in the renowned brand's strategy. According to Jimmy Choo creative directors Sandra Choi and Simon Holloway, the new campaign marks the beginning of a new generation of style: "We wanted to reveal a more relaxed side of Jimmy Choo woman and man. This modern and glamorous couple represents a new generation of style. They are the ones you want to know." The ads sure support the two directors' statements and encourage fashionistas to embrace the new season challenges by opting for simple yet high impact combos which are guaranteed to make a great impression every single time. With these thoughts in mind, the new outfits are designed to be as versatile as possible and therefore the color palette is fairly restricted for both genders. Jazzing up neutrals with a set of gorgeous accessories is the key concept the new campaign beautifully highlights in each shot. Despite the declared relaxed allure of the new choices, the elegant touch is clearly distinguishable. Many pieces are in the conservative range and at times, only the colorful accessories make the new looks polished chic instead of business-appropriate. Fashionistas who invested in a fab pair of leather pants this season will be glad to see that high-end retailers still see it as a hot pick for the upcoming months. Still, accessories are the spice of the looks and the main focal point. A colorful oversized bag, an interesting a pair of sunglasses or a vibrantly toned pair of sandals can be a great addition for bringing your look from blah to fab. Such simple additions can be the key to making a powerful impression in the not so distant future, so make sure to pay attention to all the important details when creating your new season looks.